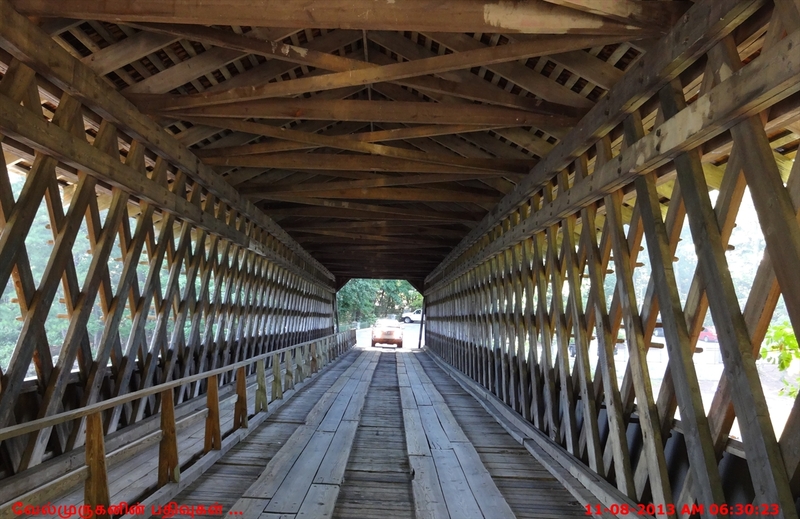 A covered bridge is a timber-truss bridge with a roof and siding which, in most covered bridges, create an almost complete enclosure. 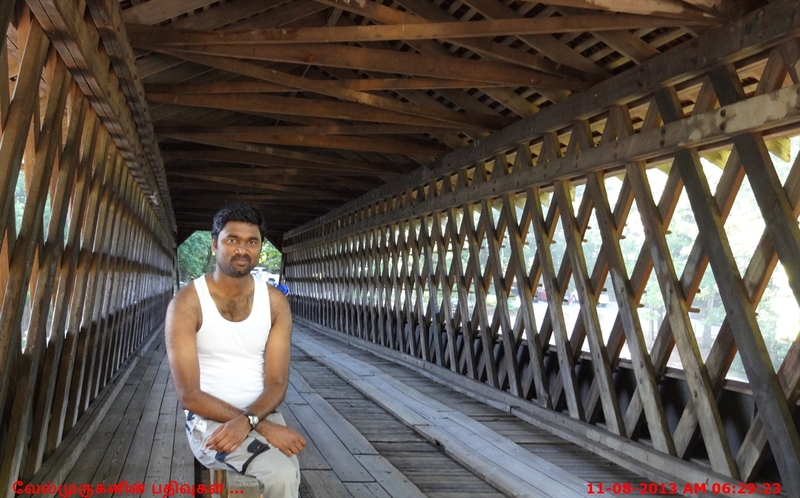 The purpose of the covering is to protect the wooden structural members from the weather. 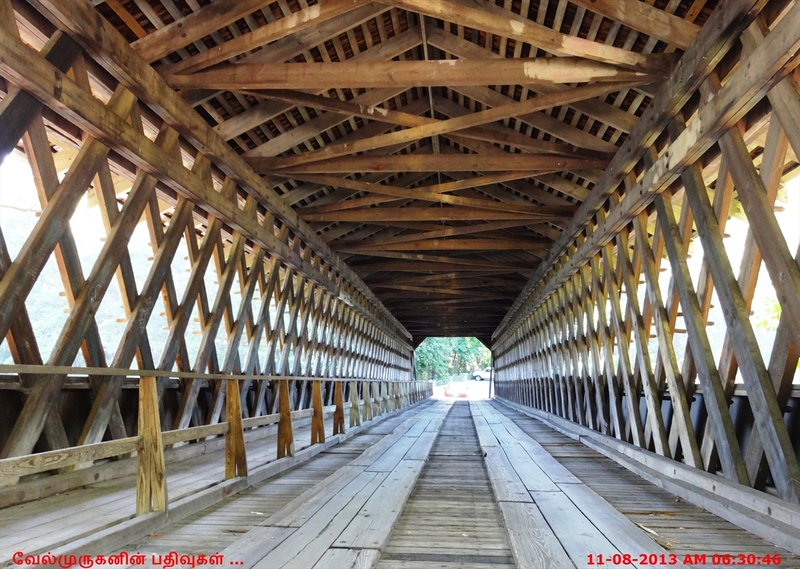 Covered bridges or Lattice bridges were common throughout the eastern U.S. during the 19th century. 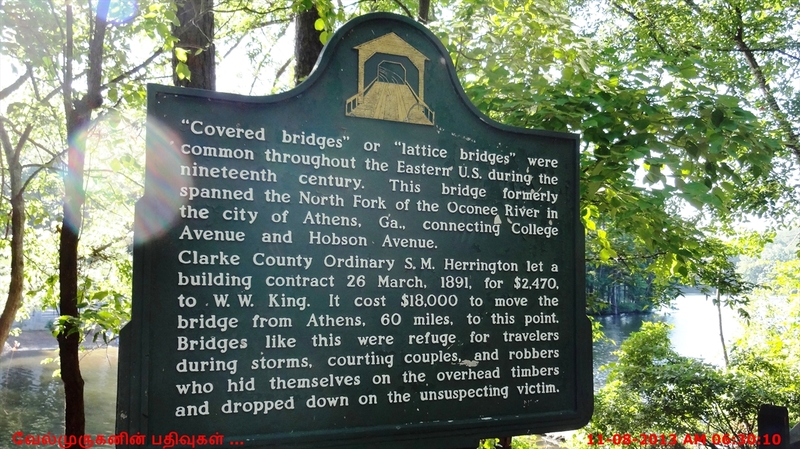 This bridge formerly spanned the North Fork of the Oconee River in the city of Athens, Ga. connecting College Avenue and Hobson Avenue.